Broulim’s hopes to have customers in the new part of the store by Thanksgiving. Majority of Broulim’s expansion will specialize in homemade fresh products. The deli and bakery will be expanded, a fresh tortilla station will be added, and a new kitchen option will be available for customers as well, Harold Jones, store director, said. “Getting in the new part of the store will be fun and it will get people excited,” Jones said. Jones said he and the other employees are proud of the expansion and the added fresh products considering the rural area in which they are in. Jones said Broulim’s likes having the opportunity to help out whenever needed in the community. He said they are able to have more of these opportunities due to being a member of the SV Chamber of Commerce. Jones said being a member of the Chamber of Commerce allows them to have interaction with the other businesses which helps them feel a part of the community. 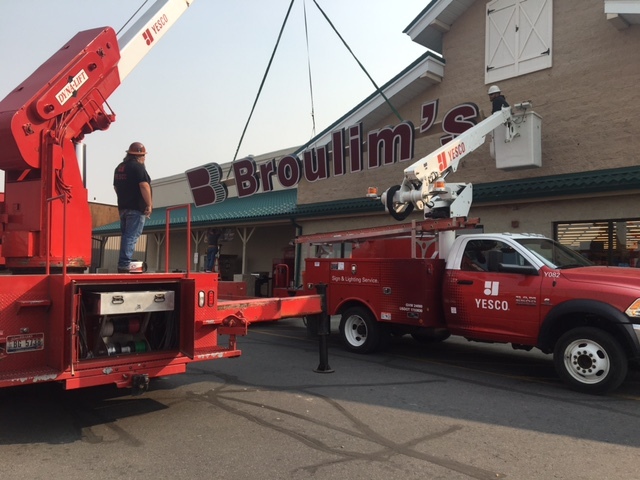 Jones said Broulim’s is continually striving to be competitive with similar stores, including those located in Idaho Falls. “We don’t charge excessively even though we can, we try to offer cheaper prices,” Jones said. Jones said Broulim’s goal is to bring quality products at the best prices. The Hunsaker’s were the original owners of the grocery store. Broulim’s bought it from them a little over five years ago, Jones said.